Logistic Van Lines will be my first choice if I have to move again. If I could give them 10 stars I would most definitely do that as I received an outstanding service before and during my move. They packed up some of my delicate items in no time and what’s more, nothing was damaged or broken. First I was worried about the outcome of the move, but after our first phone conversation I was reassured that everything would go smoothly. Hiring them was one of the best moving-related decisions I’ve recently made. I hope that other people will receive quality service from them. I have hired Logistic Van Lines multiple times. Every time I use them I am happy with their service. They always arrive as expected and ready to work. Their moves are really the best in the business and they work hard to ensure the customer is happy each time. They have great prices and they arrive when they say they will. I will continue to use them for any and all moves I do. Logistic van lines offered a convenient quote for their services. As I was moving on short notice, I didn’t have much time to organize everything on my own, so I needed professional helpers. Logistic van lines movers were extremely helpful and considerate on moving day. There were some minor inconveniences that threatened to jeopardize the entire process but the movers knew exactly how to deal with them. They are experienced professionals able to take care of each unexpected situation. I will recommend them to all the people planning a household move. They are the best! Logistic van lines were very resourceful on moving day as they managed to complete each task within the promised time frame even without one member. Being experienced and properly trained, they worked very hard to catch up and accomplish everything on time. There were no delays or mishaps, with Logistic van lines everything was transparent and fair. It was their competitive pricing I was attracted to at first, but now I can say that I’m going to use their services for sure if I have to move again in the future. 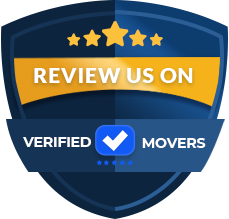 Thanks to their professionalism and efficiency my move was taken care of properly. Logistic Van lines were friendly and professional. They were very easy to speak to over the phone and were beyond able to provide me accurate information and answer all of my questions. I would highly suggest looking into this company if you are looking for an easy move. They were careful with my items at pickup and delivery. The move went very smoothly. Highly recommend this company to others. My wife and I used Logistic Van LInes for our recent relocation and I am happy to report we only had a few small issues which they worked diligently to resolve. The transportation crew showed up a day late due to issues with their truck. We were informed ahead of time as well as received multiple updates before they even arrived. We were unaware of the additional charges for having them pack for us, which they fully explained when they provided us the paperwork. We ended up having more than expected, which we planned ahead for. The driver explained all of the charges as well as provided a discount for the delayed pickup. We were able to provide them with a requested delivery date and we received multiple updates again for the delivery end. We did have a couple items that did not show up which were never found but we did receive compensation for. I would rate them 5 out of 5 stars overall. I’m very happy with the service Logistic Van Lines delivered. Still I can’t believe how professionally they handled my pool table with no scratches. As I own an antique shop, I had a lot of fragile and valuable items and Logistic Van Lines movers knew exactly how to keep them secure during transit. 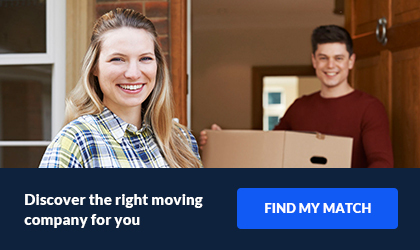 As I have never moved house I didn’t know that a relocation could go that smoothly. Logistic Van Lines made that happen and I’m very grateful for it. I will recommend them without hesitation to all of my friends and cousins who plan to move in the future. I booked my move with Logistic Van Lines 2 months in advance. I had enough time to prepare for the move and I received a lot of helpful tips from my moving team. But, the panic settled in when I realized that Logistic Van Lines weren’t responding my calls and emails. We had an agreement about the pick-up time, but I didn’t receive a confirmation. So I woke up that morning and hoped for the best! All my belongings were packed and ready to be loaded into the truck, but there was no truck! Eventually they were half an hour late because of the heavy rain. Luckily, I got my items delivered in one piece and everything turned out better than expected. If you are looking for a company that will look out for you, as well as your belongings, you have come to the right place. Logistic Van Lines will provide efficient and reliable moves to all customers. They have been making massive dents in changing the moving industry. Their primary mission is to make the relocation process stress-free and simple for clients across the country. 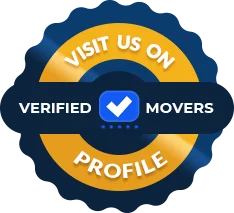 When you choose Logistic, you choose the best movers. All employees go the only the best training to ensure that they have all of the skill set and knowledge of this industry. They will also handle all tasks to alleviate any stress and sense of overwhelm that you might have. They are in top place because of their pure and honest dedication. Why Is Logistic Van Lines The Best Company For You? Most of the time moves entail the ugliest stress. Those stress levels where you feel like throwing things and making a scene. Logistic Van knows this. They want to do as much as they can to make it a better experience for each and every customer. Whether that be answering all questions they can, or providing the most accurate and precise quote. Their customer service department will always go above and beyond. This is because Logistic Van Lines hold customer satisfaction at the highest point. They believe that is a crucial and driving force to the best services. Looking for a company that can move you within the same zip code? Logistic provides local moving services. They will ensure that you have the proper quote and set up to relocate without any bumps in the road. This company also provides long distance moves. Whether you are relocation across the country for your family or your job, Logistic will help in any way they can. They will provide nothing but impeccable services along the way. They can assure you that their experts will do all of the hard work for you and you will be in safe hands. If you are looking for ways that you will not have to lift a finger during your move, this section is for you! Logistic Van Lines provides packing services. They understand that the whole process of moving can be exhausting. When you choose to have your expert movers pack for you, all you have left to do is relax. They will get the job done efficiently and safely. Your items will be ready for a long move to where ever your destination is! If you prefer to do most of the packing yourself, you can also choose partial packing. They will do as little or as much as your would like. Are you traveling in between your move? Do you not have a new home or office built just yet? Is your new home smaller than your old one? No worries. Logistic Van Lines can provide just the right option for you. You can store your items for short-term or long-term, depending on your situation. They have the latest and greatest cameras and security to keep your items safe until you are ready for them. They have 24/7 monitoring as well! Furthermore, they offer their storage services for both commercial and residential movers! So regardless of what type of move you have, they can help. You will be glad you chose a company that truly cares about your well-being. They promise to treat your items as their own. They will make sure that you feel comfortable during your entire relocation process. Call today to receive a free quote! You will be more than happy that you did. Furthermore, it does not come with any obligations.